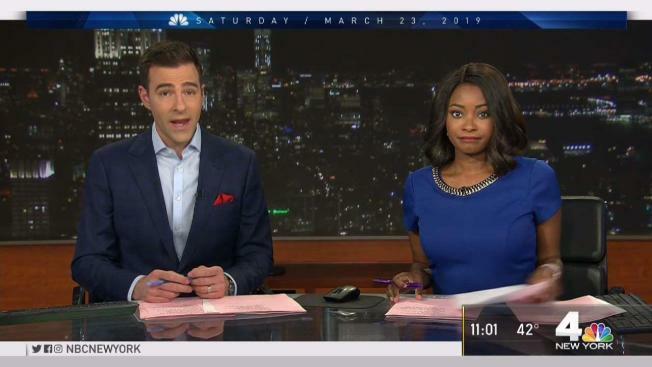 A wind-driven fire engulfed a luxury apartment complex on Long Island Saturday night, requiring assistance from at least 10 different departments. Suffolk County Fire confirmed the initial reports of an apartment fire at the Avalon Court complex in Melville just after 6 p.m. As of 9 p.m., the fire was under control and there were no immediate reports of injuries. A spokeswoman for the town of Huntington said 18 units were impacted by the fire, though the extent of the damage was not immediately clear. Arson investigators were on scene as a precaution, though there was no indication the fire was suspicious. Gusty winds helped fuel the flames; data from Storm Team 4 show winds were blowing at 15 miles per hour in the region. Photos from the scene showed heavy flames pouring out from under the roof. 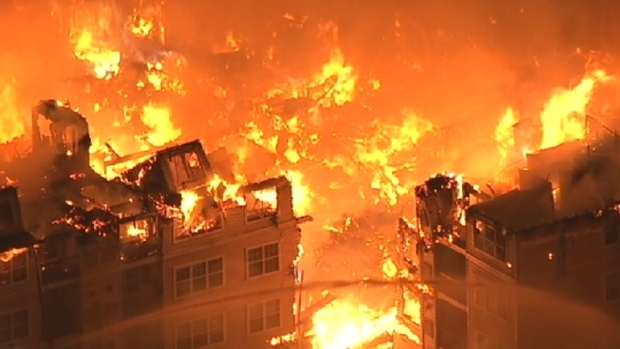 Chopper 4 video shows just how quickly fire ravaged the luxury apartment complex Avalon on the Hudson in Edgewater. This video was edited from several hours of footage Wednesday evening. According to the website of property owner AvalonBay Communities, apartments in the development start at nearly $2,700 a month for a one-bedroom unit, rising to nearly $4,000 for three bedrooms. Property managers on scene declined to comment on the fire. It was the third major fire at an AvalonBay apartment complex in the tri-state region in just over four years. Two years later, in Feb. 2017, a six-alarm fire destroyed another 200 units at an Avalon complex under construction in Maplewood, NJ. Both fires were ultimately ruled accidental.